Popular Shanghai spa brand launches second location beside SNIEC and Cen- tury Park in the Kerry Parkside retail mall. 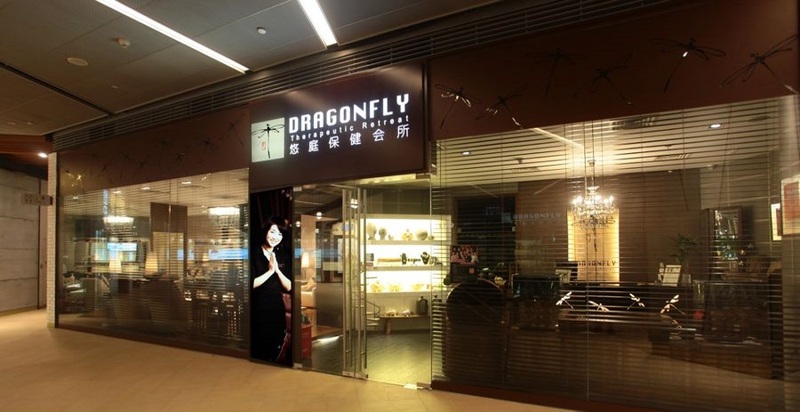 Dragonfly @ Kerry Parkside is conveniently located across from Century Park on the ground floor of the Kerry Parkside retail mall that links the SNIEC with the Kerry Parkside office tower, service apartments and the new five star Kerry Hotel. This cozy Dragonfly retreat offers a full range of massage, nailcare, waxing and facial services as well as a selection of lifestyle retail products. It features two spacious foot massage rooms with a total of 10 luxurious foot massage sofas; 4 comfortable nail spa stations to provide manicures and pedicures, and 10 sumptuous massage beds within 6 single rooms and two double rooms - for couples. The retreat is open from 10:15 until midnight, seven days a week. Parking is available and the retreat is easily accessible at the corner of Fangdian Road and Huamu Road, and by the adjacent Eastern terminus of Metro line 7. Open daily, 10:15 to midnight.